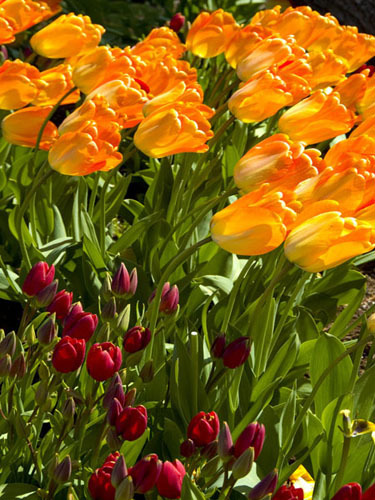 Long brightly colored orange tulips in bloom that are blowing in a strong wind and quite bent. Some shorter, red tulips are in the foreground. Great juxstaposing.It looks like to different shots.A challenge for the eye.Nice to see a fellow Vancouver Islander on this site. Golda.